The experience of losing your data unexpectedly is always a painful one and here at ACE Data Recovery the unfortunate reality that we see every day is the vast majority of data loss can be avoided with proper backup solution. The bigger question is what doesn't qualify, when a backup solution is not a backup solution. Here is an introductory list of things that are NOT the proper ways to implement a backup solution for business critical data. We'll be delving further into the details of a comprehensive backup and recovery methods in the future but the minimum requirements are to follow the long standing "3-2-1 Principle". In summary, you will need 3 copies of your data on… 2 physical devices and…1 off-site. 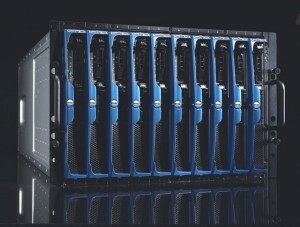 Some things do NOT satisfy a single "digit" of this backup principal and are not considered significantly more reliable than an independent single drive backup. Backing up to the different folder/volume on the same drive or a secondary drive in the same machine. RAID by itself or a RAID storage device that is not redundant or is obsolete for the configuration used is not a backup. The primary purpose of RAID is Scaling/Performance and Availability. Though it should be obvious, one of the most commonly overlooked and most dangerous aspects of backup is neglecting proper verification. I'll be covering the obvious and not so obvious details of a proper verification/restoration in more detail in future posts, but here are some brief examples. Results in corrupt or un-mountable VM's. Results in un-attachable/corrupt Database such as SQL Server and Exchange. To Bare Metal is untested. Generally, cloud backup solutions should not be considered as primary backup, but instead be considered a simplified and/or inexpensive way of satisfying the "1 off-site" part of a general 3-2-1 backup scheme. We'll touch briefly on public cloud backup here, but I'll be going into more detail about Business-focused solutions in future posts. Access to your data and the backup and restoration process is vulnerable to unexpected interruption in Internet services. Consumer variants are not usually geographically redundant and not always redundant within the data center. Consumer cloud providers DO NOT offer data recovery options as recourse for data loss on the server that happened to house your data any more than "backup" hard drive manufacturers do. Overall there's a lot to take in here and a lot more left to cover from RAID Reliability to VM and Database Migration to the details of various ‘cloud' services. I'll be fleshing those details out in future posts in this series. Make sure to check this page periodically to get the latest updates.